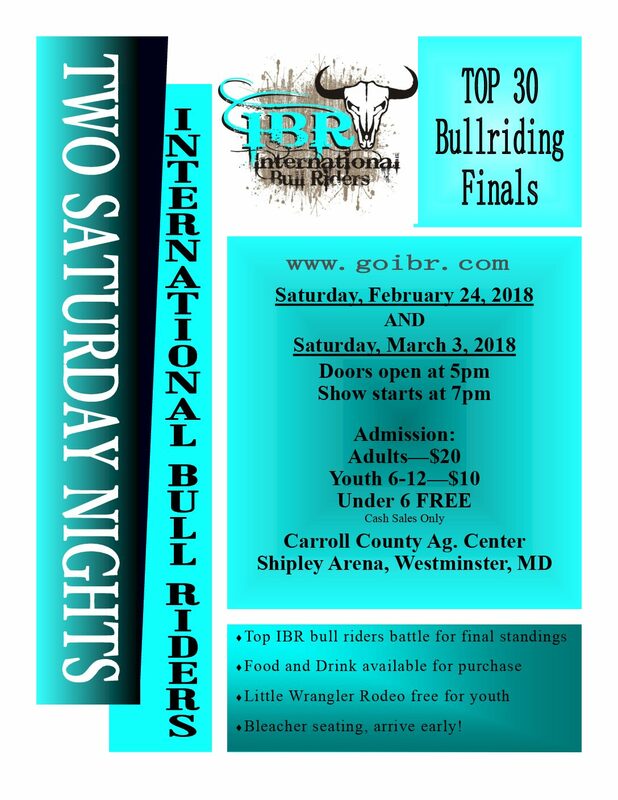 The Carroll County 4-H Fair Bull Riding will be held on Saturday, March 2nd, 2019 in Westminster, Maryland. This Westminster rodeo is held at Carroll County Fairgrounds. This event is the Top 30 Bullriding Finals.